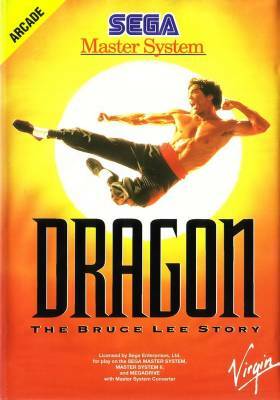 Dragon: The Bruce Lee Story - Games - SMS Power! 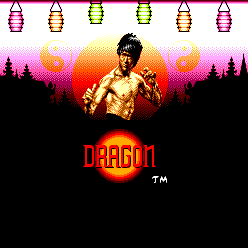 Enter the world of Dragon. A place where the martial arts legend Bruce Lee lived for 32 troublesome years. 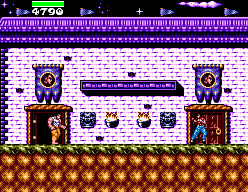 A place where you will encounter a multitude of the smartest and fiercest opponents ever to be seen in a MASTER SYSTEM beat-'em-up. At your disposal is a devastating array of over 35 different fighting moves. 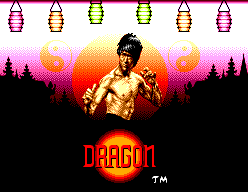 You WILL need them... • Contains three different fighting styles: Mantis, Fighter and Nunchuku. • Many secret special moves to discover. • Using a Multi Tap™, three human opponents can fight to the finish.